In September, the U.N. General Assembly will vote on whether to recognize Palestine as an independent and sovereign state with full rights in the United Nations. In many ways, this would appear to be a reasonable and logical step. Whatever the Palestinians once were, they are clearly a nation in the simplest and most important sense - namely, they think of themselves as a nation. Nations are created by historical circumstances, and those circumstances have given rise to a Palestinian nation. Under the principle of the United Nations and the theory of the right to national self-determination, which is the moral foundation of the modern theory of nationalism, a nation has a right to a state, and that state has a place in the family of nations. In this sense, the U.N. vote will be unexceptional. However, when the United Nations votes on Palestinian statehood, it will intersect with other realities and other historical processes. First, it is one thing to declare a Palestinian state; it is quite another thing to create one. The Palestinians are deeply divided between two views of what the Palestinian nation ought to be, a division not easily overcome. Second, this vote will come at a time when two of Israel's neighbors are coping with their own internal issues. Syria is in chaos, with an extended and significant resistance against the regime having emerged. Meanwhile, Egypt is struggling with internal tension over the fall of President Hosni Mubarak and the future of the military junta that replaced him. Add to this the U.S. withdrawal from Iraq and the potential rise of Iranian power, and the potential recognition of a Palestinian state - while perfectly logical in an abstract sense - becomes an event that can force a regional crisis in the midst of ongoing regional crises. It thus is a vote that could have significant consequences. Let's begin with the issue not of the right of a nation to have a state but of the nature of a Palestinian state under current circumstances. The Palestinians are split into two major factions. The first, Fatah, dominates the West Bank. Fatah derives its ideology from the older, secular Pan-Arab movement. Historically, Fatah saw the Palestinians as a state within the Arab nation. The second, Hamas, dominates Gaza. Unlike Fatah, it sees the Palestinians as forming part of a broader Islamist uprising, one in which Hamas is the dominant Islamist force of the Palestinian people. The Pan-Arab rising is moribund. Where it once threatened the existence of Muslim states, like the Arab monarchies, it is now itself threatened. Mubarak, Syrian President Bashar al Assad and Libyan leader Moammar Gadhafi all represented the old Pan-Arab vision. A much better way to understand the "Arab Spring" is that it represented the decay of such regimes that were vibrant when they came to power in the late 1960s and early 1970s but have fallen into ideological meaninglessness. Fatah is part of this grouping, and while it still speaks for Palestinian nationalism as a secular movement, beyond that it is isolated from broader trends in the region. It is both at odds with rising religiosity and simultaneously mistrusted by the monarchies it tried to overthrow. Yet it controls the Palestinian proto-state, the Palestinian National Authority, and thus will be claiming a U.N. vote on Palestinian statehood. Hamas, on the other hand, is very much representative of current trends in the Islamic world and holds significant popular support, yet it is not clear that it holds a majority position in the Palestinian nation. All nations have ideological divisions, but the Palestinians are divided over the fundamental question of the Palestinian nation's identity. Fatah sees itself as part of a secular Arab world that is on the defensive. Hamas envisions the Palestinian nation as an Islamic state forming in the context of a region-wide Islamist rising. Neither is in a position to speak authoritatively for the Palestinian people, and the things that divide them cut to the heart of the nation. As important, each has a different view of its future relations with Israel. Fatah has accepted, in practice, the idea of Israel's permanence as a state and the need of the Palestinians to accommodate themselves to the reality. Hamas has rejected it. Fatah has an advantage in any vote on Palestinian statehood: It enjoys far more international support than Hamas does. Europeans and Americans see it as friendly to their interests and less hostile to Israel. The Saudis and others may distrust Fatah from past conflicts, but in the end they fear radical Islamists and Iran and so require American support at a time when the Americans have tired of playing in what some Americans call the "sandbox." However reluctantly, while aiding Hamas, the Saudis are more comfortable with Fatah. And of course, the embattled Arabist regimes, whatever tactical shifts there may have been, spring from the same soil as Fatah. While Fatah is the preferred Palestinian partner for many, Hamas can also use that reality to portray Fatah as colluding with Israel against the Palestinian people during a confrontation. At the moment, that is not likely. Egypt's military has retained a remarkable degree of control, its opposition groups are divided between secular and religious elements, and the religious elements are further divided among themselves - as well as penetrated by an Egyptian security apparatus that has made war on them for years. As it stands, Egypt is not likely to evolve in a direction favorable to Hamas. Therefore, Hamas needs to redefine the political situation in Egypt to convert a powerful enemy into a powerful friend. Though it is not easy for a small movement to redefine a large nation, in this case, it could perhaps happen. There is a broad sense of unhappiness in Egypt over Egypt's treaty with Israel, an issue that comes to the fore when Israel and the Palestinians are fighting. As in other Arab countries, passions surge in Egypt when the Palestinians are fighting the Israelis. Under Mubarak, these passions were readily contained in Egypt. Now the Egyptian regime unquestionably is vulnerable, and pro-Palestinian feelings cut across most, if not all, opposition groups. It is a singular, unifying force that might suffice to break the military's power, or at least to force the military to shift its Israeli policy. Last week's attack on the Eilat road should be understood in this context. Some are hypothesizing that new Islamist groups forming in the Sinai or Palestinian groups in Gaza operating outside Hamas' control carried out the attack. But while such organizations might formally be separate from Hamas, I find it difficult to believe that Hamas, with an excellent intelligence service inside Gaza and among the Islamist groups in the Sinai, would not at least have known these groups' broad intentions and would not have been in a position to stop them. Just as Fatah created Black September in the 1970s, a group that appeared separate from Fatah but was in fact covertly part of it, the strategy of creating new organizations to take the blame for conflicts is an old tactic both for the Palestinians and throughout the world. Hamas' ideal attack would offer it plausible deniability - allowing it to argue it did not even know an attack was imminent, much less carry it out - and trigger an Israeli attack on Gaza. Such a scenario casts Israel as the aggressor and Hamas as the victim, permitting Hamas to frame the war to maximum effect in Egypt and among the Palestinians, as well as in the wider Islamic world and in Europe. The matter goes beyond Hamas. The Syrian regime is currently fighting for its life against its majority Sunni population. It has survived thus far, but it needs to redefine the conflict. The Iranians and Hezbollah are among those most concerned with the fall of the Syrian regime. Syria has been Iran's one significant ally, one strategically positioned to enhance Iranian influence in the Levant. Its fall would be a strategic setback for Iran at a time when Tehran is looking to enhance its position with the U.S. withdrawal from Iraq. Iran, which sees the uprising as engineered by its enemies - the United States, Saudi Arabia and Turkey - understandably wants al Assad to survive. Meanwhile, the fall of Syria would leave Hezbollah - which is highly dependent on the current Syrian regime and is in large part an extension of Syrian policy in Lebanon - wholly dependent on Iran. And Iran without its Syrian ally is very far away from Hezbollah. Like Tehran, Hezbollah thus also wants al Assad to survive. Hezbollah joining Hamas in a confrontation with Israel would take the focus off the al Assad regime and portray his opponents as undermining resistance to Israel. Joining a war with Israel also would make it easier for Hezbollah to weather the fall of al Assad should his opponents prevail. It would help Hezbollah create a moral foundation for itself independent of Syria. Hezbollah's ability to force a draw with Israel in 2006 constituted a victory for the radical Islamist group that increased its credibility dramatically. Israel has two strategies in the face of the potential storm. One is a devastating attack on Gaza followed by rotating forces to the north to deal with Hezbollah and intense suppression of an intifada. Dealing with Gaza fast and hard is the key if the intention is to abort the evolution I laid out. But the problem here is that the three-front scenario I laid out is simply a possibility; there is no certainty here. If Israel initiates conflict in Gaza and fails, it risks making a possibility into a certainty - and Israel has not had many stunning victories for several decades. It could also create a crisis for Egypt's military rulers, not something the Israelis want. War thus benefits Hamas (even if Hamas maintains plausible deniability by having others commit the attacks), a war Hezbollah has good reason to enter at such a stage and that Fatah does not want but could be forced into. Such a war could shift the Egyptian dynamic significantly to Hamas' advantage, while Iran would certainly want al-Assad to be able to say to Syrians that a war with Israel is no time for a civil war in Syria. Israel would thus find itself fighting three battles simultaneously. The only way to do that is to be intensely aggressive, making moderation strategically difficult. Israel responded modestly compared to the past after the Eilat incident, mounting only limited attacks on Gaza against mostly members of the Palestinian Resistance Committees, an umbrella group known to have links with Hamas. Nevertheless, Hamas has made clear that its de facto truce with Israel was no longer assured. The issue now is what Hamas is prepared to do and whether Hamas supporters, Saudi Arabia in particular, can force them to control anti-Israeli activities in the region. The Saudis want al Assad to fall, and they do not want a radical regime in Egypt. Above all, they do not want Iran's hand strengthened. But it is never clear how much influence the Saudis or Egyptians have over Hamas. For Hamas, this is emerging as the perfect moment, and it is hard to believe that even the Saudis can restrain them. As for the Israelis, what will happen depends on what others decide - which is the fundamental strategic problem that Israel has. 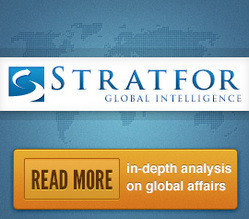 Israeli-Arab Crisis Approaching is republished with permission of STRATFOR.